UK TV in Spain. Sky TV in Spain. 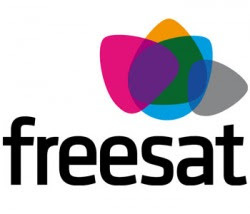 Freesat TV in Spain. How to receive UK Satellite TV in Spain and along the Costa Blanca and Valencia regions of Spain. Installers for Digital TV in Spain. If you use 12129 as the Default Transponder Frequency setting to help your Sky digibox boot up, then you may be finding this no longer works. And therefore you will not be able to watch Sky TV in Oliva. On the 31st May 2012, this frequency was no longer carrying any channels, with S4C moving from that frequency. This means that frequency 12.129 is no longer a good frequency setting to help in booting a Sky box up. So, if, for example after a power cut, you needed to use 12129 as the default transponder frequency on your Sky digibox in Spain then you will now need to use a new default transponder frequency setting. There are a large number of default transponder frequency setting you can use to help boot up your Sky box. You can use Frequency code of 12207 v 27.5 2/3 as the new the new default transponder frequency setting for Spain. Frequency 12207 V 27.5 2/3 is the Sky News frequency, which is on a south ebam of the Astra 2 satellites, and therefore is easily available on most satellite dishes to help restart the Sky boxes after a power outage. Sky Standard definition boxes: Services, 4, 0, 1, select, 2, input frequency, save settings, sky button. Services, 0, 0, 1, right to txponder, input frequency 12.207 , save settings by pressing the green button. Valencia Costa Blanca Forum. Free Advert and Business Directory Listings. Copyright The Sat and PC Guy / J Worby - 2010, 2011.